juanbook: System Ops: Work! 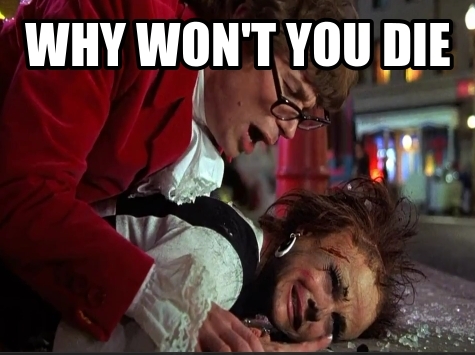 Why Wont You DIE!?! How I feel about all of the jobs I have been trying to complete this week at work. Labels: Austin Powers, Juan Delgado, juanbook, Real-time Operations, System Operator, System Ops, Transmission System Operations, Why Won't You Die, Work! Why Wont You DIE!? !